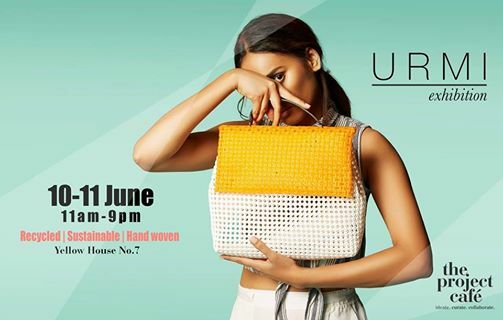 Introducing a pop-up exhibition by Urmi Weave with their hand weaved totes and clutches along with an art installation set up at The Project Cafe. URMI is a unique brand of contemporary and chic handcrafted bags and accessories made by women from India. All the products are made with a special material that is recyclable, using age-old weaving techniques and have been designed keeping in mind comfort, utility and style. Come and experience a sustainable lifestyle coming all the way from Coimbatore at The Project Cafe.